Battle Creek, MI -- Faced with dwindling or stalled membership numbers, and a resulting inability to pay for maintenance, repairs, or kitchen items, some lodges are turning to multi-level marketing in order to increase revenues without adding to the burden of increased dues and special assessments on already over-taxed members. "I got the idea from my bother-in-law who hounds us every month to buy some kind of soap or dishwasher product," said WB Howard Jensen, Secretary of Nascent Lodge. "Eventually we just signed up to be distributors, but I don't have time for that kind of thing. It was more to get him off our backs." But WB Jensen realized that similar tactics could be used to increase lodge revenues. "We signed up as a lodge, and started guilting the members to buy soaps, shampoos, cleaning products, and other little things. You know, the stuff that you'd be buying anyway. Eventually, most of them caved, and now we pull in almost triple what we pull in for annual dues." WB George Stetson, Treasurer of Composition Lodge agrees. "We found that the pancake breakfasts were not making enough money after a few years, so we explored some options. I realized that my wife was always going to some 'dem party' every week, so we began to look at some of those pyramid marketing sales as a way to supplement the pancakes." The income these lodges have been generating has even caught the eye of the Grand Lodge, which may soon look at buying into a MLM for the general fund. 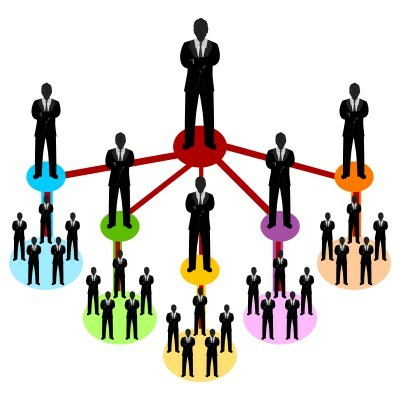 With the number of different multi-level marketing companies, or MLMs (they prefer to avoid the term "pyramid") out there, how does a lodge pick one? "We looked at half a dozen different companies, and spent some time trying to narrow it down to what we thought would generate small but consistent sales," explained WB Marion Kay, assistant Treasurer of Arbonne Lodge. "We decided that there would only be so many bottles of vitamins, skin care, or plastic bowls to push on the members. That's why we went with Amway, it has a wide range of products, and is a trusted name in the business." "Besides," he added, "we've even signed up a few of the members to sell under us, which just increases our profits."